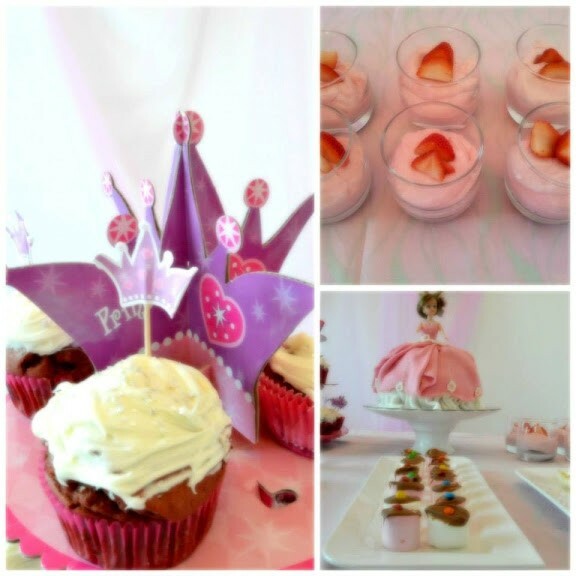 Perfectly pink princess party for my daughter turning 4.. Absolutely loved every minute of it.. and it came together nicely and turned into a pretty successful princess party every 4 yr old will dream of! 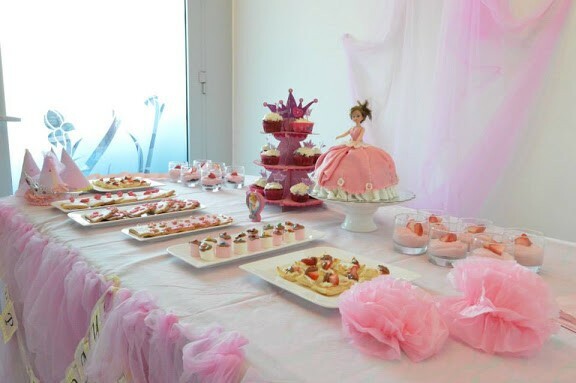 When I was designing the menu for this party I wanted pink to dominate throughout the table that I wanted the desserts to deliver the same feel. 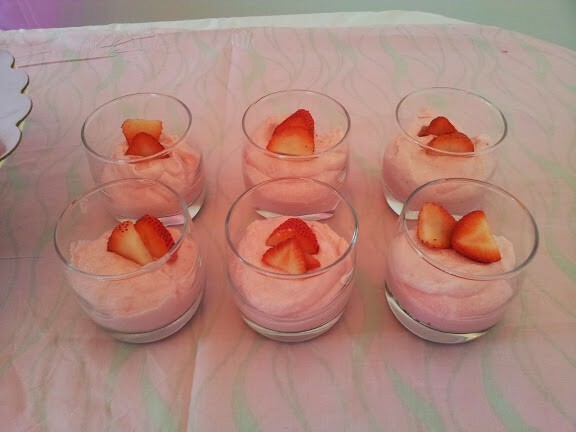 So I loved using lots of soft cloudy pink in the form of fluffy strawberry mousse and the marshmallows, and highlighted a bit of sharp pink in strawberries and cake stand and whole bunch of custom cookies. 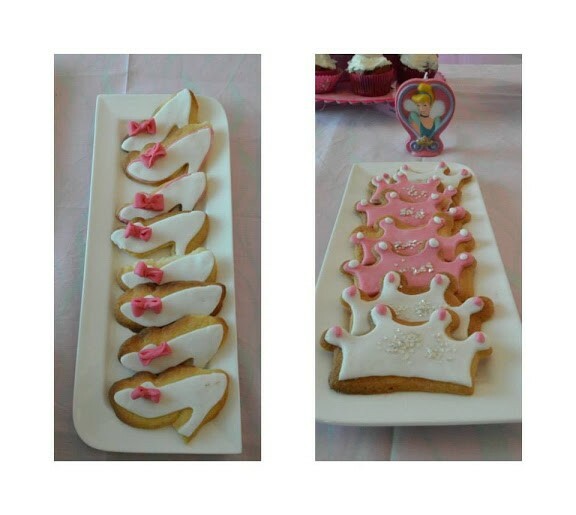 The dessert table included A giant Barbie doll choc cake, red velvet cupcakes with vanilla butter cream, strawberry marshmallow moose, chocolate dipped marshmallows, tarts and tons of crown, castle and slipper shaped cookies. just reading the list sounds fun, fun, fun!! 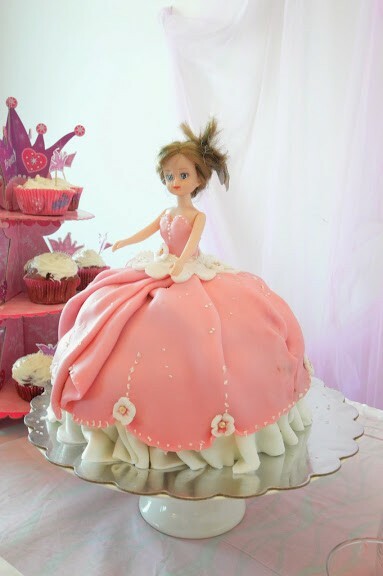 Totally fit for a princess! 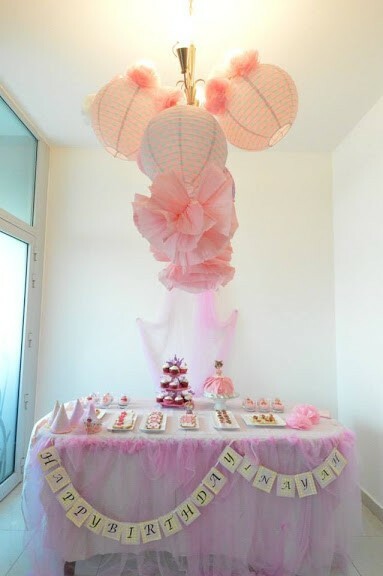 For the decor I used lots and lots of pink net fabric, lanterns, pom poms, banner and pale pink and yellow paper heart garlands. 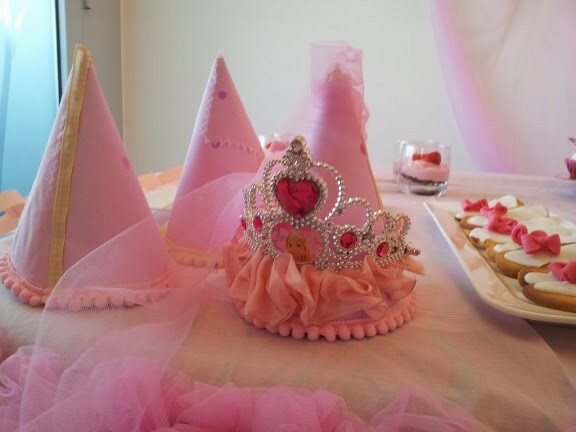 My personal favorite were the party hats_ I bought some cheap off the counter paper party hats and covered them in the yummiest shade of pink napkins and than lined them with pale yellow pom poms lace. They turned out spectacular! 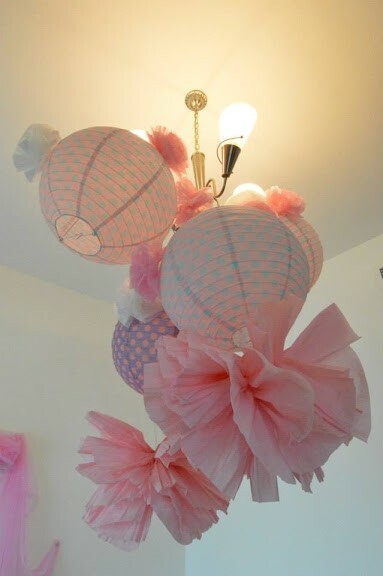 Almost everything was a DIY other than the lanterns and a couple of small pom poms. 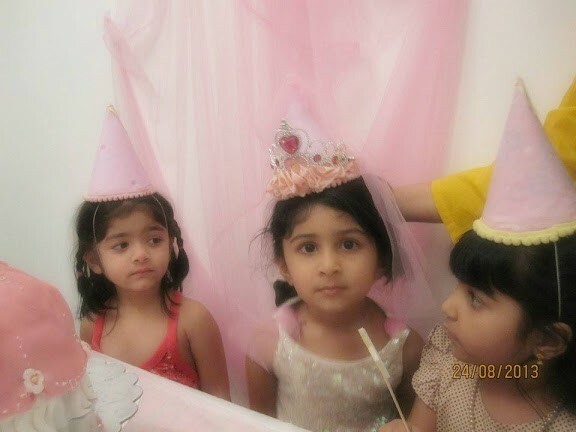 My Sister’s Creative Magic on my niece’s Birthday! 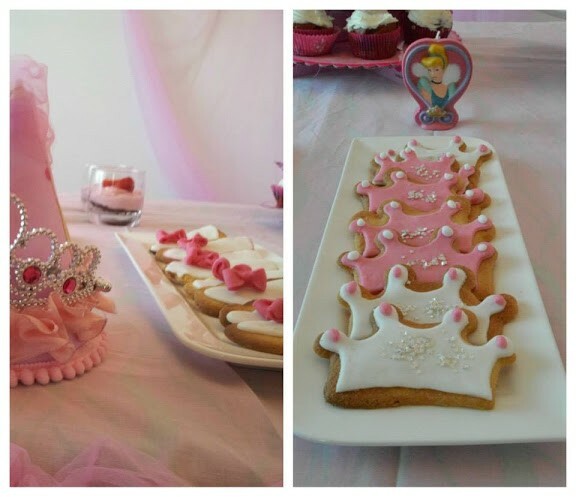 Great decoration idea for your princess’s party!